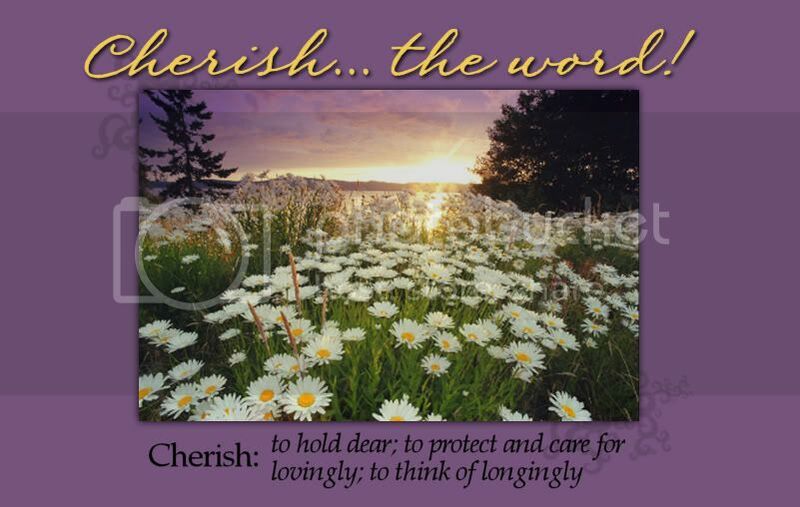 Cherish. . . the word! I could list several more places that have special meaning to me/our family, but these stand out in my mind as significant. Just making the list has given me a flood of wonderful memories of traveling with my husband, family, and friends. Although some of these places definitely have a greater impact on my emotions and/or memory, they are not listed in any particular order of importance. 1. Jerusalem--What an expereience to walk where Jesus walked! Visiting there was like going home; although the sights were new, the places were familar. To personally experience the places where well-loved stories took place was a joy beyond belief. 2. Ephesus--How exciting to stand in the ampitheater and imagine what it must have been like to have been there in the days of Paul and Barnabus. According to tradition, John brought Mary to Ephesus to live. Walking on the magnificent marble roads was an amazing privilege. 3. The Island of Patmos--The place of John's exile. When he was there it was a Roman prison site of bleak desolation. Today it is a beautiful green island with gorgeous wild flowers and pristine villages. The blue of the water is unbelievable. 4. Chicago--I never really thought of wanting to go to Chicago until a couple of years ago when I had the opportunity to go there with my husband. It was our last trip before he became so critically ill. It is an exciting city that I only began to explore--so many places left to discover! 5. St. Auguatine, Florida--This old--and modern--town is a peaceful, quaint and interesting place to relax and recharge. 6. Camden, Maine--A beautiful, unspoiled sailing port where you can relax, relax, relax. The deli had great coffee and there is a wonderful park where you can watch yachts, lobster boats, schooners, and small sailboats come and go all day. Taking a chooner trip intoPenobscot Bay was a thrill for this "afraid of deep water" girl of West Texas! There are lwots of delightful inns and bed and breakfast accomocations. 7. Nova Scotia--If you enjoy visiting lighthouses or old churches this is your place! We had a delightful picnic lunch near a lighthouse with a LOUD FOG HORN!!! The Bay of Fundy is a powerful body of water--take motion sickness drugs before the ride over on the huge ferry boats! 8, Glorieta and Santa Fe New Mexico--The two are inseparable in my mind! Our family has such good and meaningful memories of these places. Thank you, Lord, for Glorieta! 9. Mackinac Island, Michigan--Oh my goodness, what a treat--quaint and fudge-filled for me, lghthouses nearby for my husband! No motorized vehicles are allowed on the island. If you don't like horses. horse-drwn vehicles, bicycles, or walking this is not for you! We liked it so much we have visited three times; If I ever go again I'm staying at the Grand Hotel--luxury plus! 10. Lake Barkley State Park, Kentucky--The scene of over twenty Thanksgiving weekends with our family. This was our annual "family retreat"--every year was different as two little boys grew toward manhood. 11. The edge of the plateau, Tennessee--Home for two of our four precious grandchildren! 12. Three miles down the road from my house--Home for the other two precious grandchildren! 13. Texas--Home of my childhood and where I met and married my husband. Don't Mess with Texas! Your places sound just wonderful! I too have been to Mackinac, and I would love to go back as well. The fudge is to die for and the lack of cars makes it quite a lovely place. I wanna go to Texas. I really do. wow~~~ those are incredible places!!! great T13 list for this week. feel free to come visit my place sometime - i love meeting new people. I have not been to one place on your list! Wow! But I certainly would like to visit some of them! My husband was in the Navy when we were first married so he did have a chance to go to Jerusalem. I wish I could have shared in that incredible experience! Isaiah 40:11 (Holman Christian Standard Bible) 11 He protects His flock like a shepherd; He gathers the lambs in His arms and carries [them] in the fold of His [garment]. He gently leads. . . I am a Christian woman who shares a blessed life with my precious husband, our two adult sons and their wives, and four grandchildren. We cherish the adventures God has allowed us to have together. I recently retired from an over thirty year career as an elementary teacher and administrator.